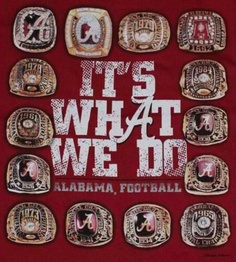 For those that don’t already know, I am a die hard Alabama Crimson Tide fanatic. Last weekend played and lost to a good Ole Miss team. Why the title of this post is titled to the President of the NCAA is because of an incident that happened to one of our players. 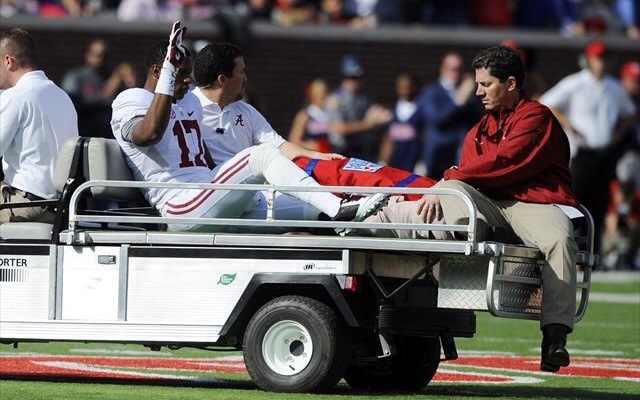 Junior Running Back Kenyan Drake was injured during the second quarter. I understand that football is a dangerous game and players gamble with the chance of injury every time they step on the field, but there has been rules and guidelines set aside for what hits are legal and what are not. If you review the hit on Kenyan, he was hit low below the knee, which is illegal, also known as a chock block. This caused him to him to break his ankle. 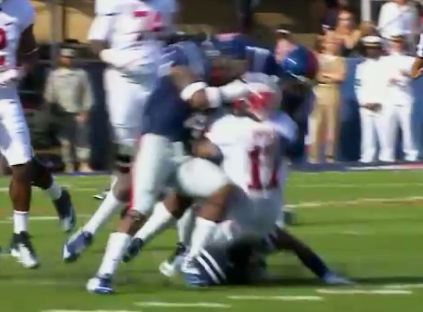 After the illegal hit, he was then kicked in the helmet by another opposing player. In my opinion BOTH of these players should be suspended for the remainder of the 2014-2015 season. Why? Because, they Kenyan can’t play the rest of the season. The only player that was punished was the player was the player that kicked him in the helmet and his punishment was for him to sit out for the first half of his following game. What type of punishment is this? All this is a smack on the hand and saying please don’t do it again. 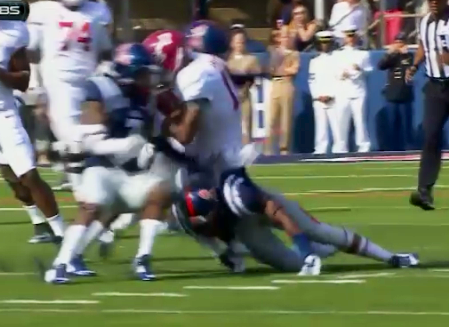 During the contest the Ole Miss Rebels versus The Alabama Crimson Tide there was an incident that was unacceptable by all standards at any level of play. 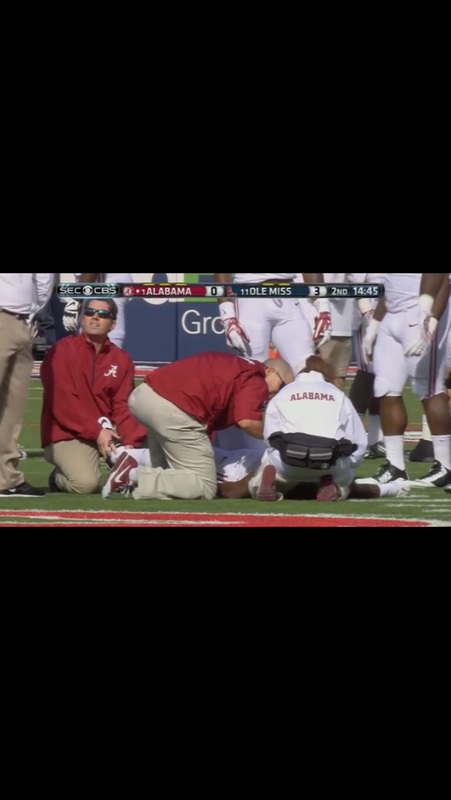 After Alabama Running Back Kenyan Drake was injured and lying on the field in excruciating pain, Ole Miss Defensive Back Trae Elston kicked Kenyan in the helmet while he was down. Was that really necessary? I’m not writing this letter because I’m an Alabama fan and we lost the game, but that type of behavior is childish and should not be allowed at this level of play. If I were watching a Division II or Division III game I would feel the same. This behavior is totally unacceptable. I pretty much have an idea of what you’re going to tell me,”if the referee didn’t see it or call it, it didn’t happen.” Well Mr. Emmert we have now transitioned into the 21st Century and are now equipped with the greatest technology known to man. With that being said plays can be replayed, slowed down and zoomed frame by frame; zoomed so far you have the ability to see the individuals pupils. Not using this technology to it’s fullest extent, we are discrediting these student-athletes. The majority of these student-athletes have dreams of playing at the next level, but if you as the president of the NCAA don’t do your job to protect them, that dream will quickly fade away. I understand injuries are going to happen, that inevitable, but unsportsmanlike actions are uncalled for and need to be handled with a firm hand. I honestly think they should be handled by the NCAA and NOT the University. I believe this because the University is only going to give the student-athlete a slap on the hand instead of a punishment that is meant to show the student-athlete and the rest of the student-athletes that these actions will not be tolerated. If a petition needs to be started to bring light to this issue them I’m prepared to do so. Your job is to protect to students and student-athletes. 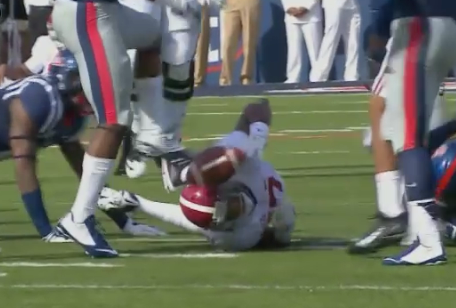 I would like to have Trae Elston suspended for his actions during the Ole Miss/Alabama game. The reason: unsportsmanlike conduct to a defenseless player. In the mission statement below comes directly from your web page, but according to a lot of the behavior going on in college football today it’s just to “check the clock.” I challenge you to re-read and do your job and protect the kids because you were put in that position to do so. “We are committed to enforcing the rules and creating fair competition for student-athletes across the country. It’s the responsibility of our universities, athletic programs, coaches, alumni, student-athletes, and ourselves to be fully accountable at every level as we promote student success both on and off the field. No one is above the rules. The consequences for breaking them need to be clearly defined and consistently enforced. Our members in Division I revised their enforcement structure in August 2013 to focus on tough but fair penalties. Today’s subject isn’t new territory for me, but some of my views have changed slightly. The reason they’ve changed is because I’ve had a lot of time to think about it and I’ve done a little more research than I did in my previous post. 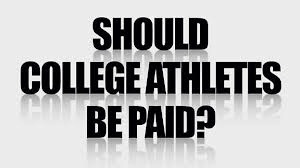 This issue is, “Should college athletes be paid?” I still stand firm on my point of view that they should be paid. Here’s where some of my points have changed. 1. With these student athletes being paid, if that is ever incorporated, they should sign a promissory note saying they will give the University of their choice a minimum of 4 years. I don’t want to call it a contract, because they are considered amateurs. Why a minimum of at least 4 years because said University is spending thousands, some times millions on recruiting that individual. 2. Once the individual commits to the University of their choice they would be given 2 options: Option A is a 4 year Athletic/Academic scholarship. Included in the scholarship the student athlete would receive a small stipend for everyday expenses. That stipend would be very low, because everything is being paid for by the University. Option B, the student athlete would be offered 4 years of pay for play. If they choose this option, they would pay for their education. Now with that being said, they would receive enough so that they could pay for tuition, books, room and board, food, rent, etc. 3. How much would the amount for pay for play be? That’s a great question that is hard to answer and would the amount change with the fluctuation of the economy? I say the amount should be agreed upon and in order for it to change, it should have to go through a review and approval process. 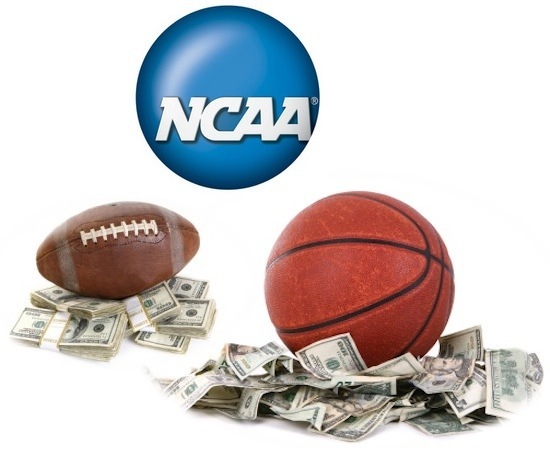 With the pay for play, can the student athlete be paid for autographs, endorsements, etc.? No, because their focus should be focused on the University and not themselves. Paying student athletes is a difficult subject because it would be hard to make everyone happy. 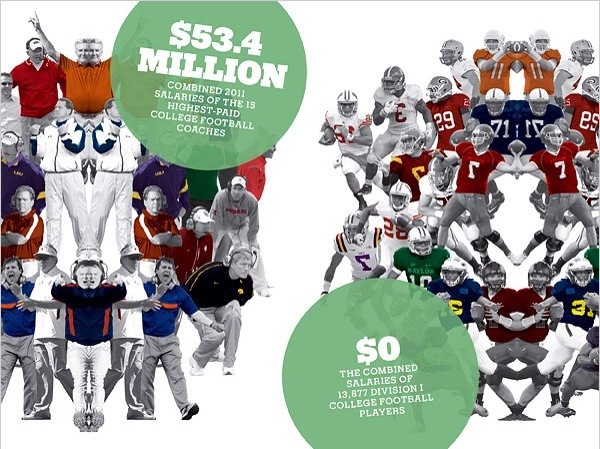 I’m sure that collegiate athletes right now are getting paid. I say that because how is a player able to pay for a pimped out ride with the works? Their stipend right now isn’t paying for it! In addition to them being paid or taking the scholarship, grades would also be a factor. If you’re failing you would be put on probation and given extra help; however, their stipend would be lowered. In the case of the pay for play, it would be probation and reduction of pay. If that doesn’t motivate them then I don’t know what will. Keep in mind as you take all this in, this is MY opinion. I would love to hear how you feel on this subject. Leave a comment in the section designated below. Enjoy. I really didn’t think that I would have to actually put together a post about this, but SOMETHING REALLY HAS TO STOP! Man, a team wins 11 out of 12 games in the regular season and they are doing something right. Don’t get me wrong, but what was your record last year? 3-8? Please, stop it. 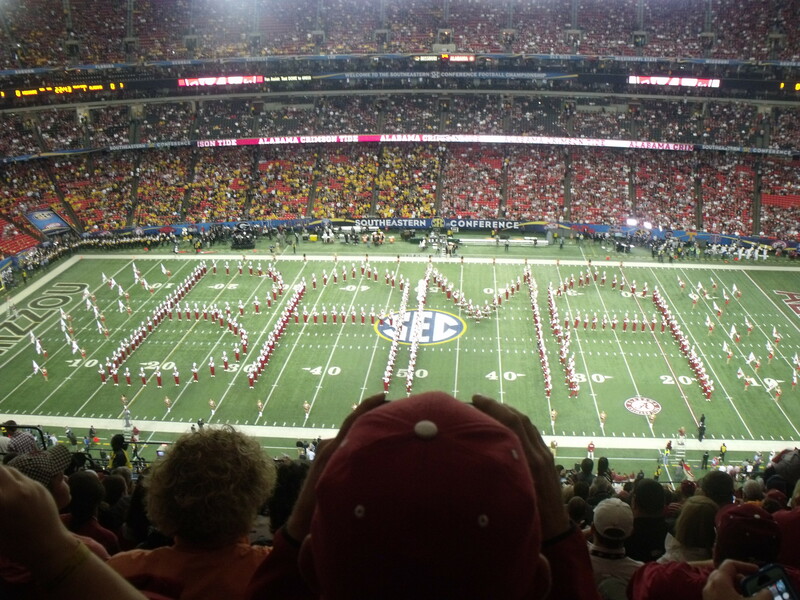 Let your skills speak for themselves on January 6, 2014, during the BCS National Title Game. Okay, what I will attempt to do in this post is do everything in my power NOT to take sides, but as you can see in the introduction, this will be a hard task for me to accomplish. 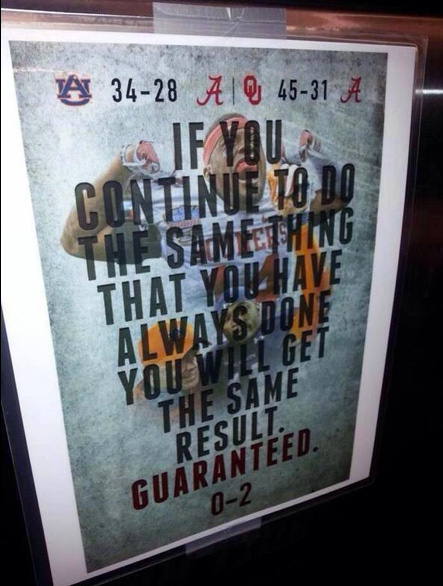 “We have faced some dynamic quarterbacks,” Auburn head coach Gus Malzahn said Wednesday, December 18, 2013. “They are a little bit different but have won a lot of games. I hope that will help us. Obviously, we are playing the Heisman Trophy winner, the best player in college football, so we have our work cut out for us.” Of course, it seems the Tigers have had their work cut out for them all season—first in September, when they were pitted against Zach Mettenberger and LSU in Baton Rouge. It was more of the same when Auburn traveled to College Station to face Johnny Manziel and the Texas A&M Aggies as said by Justin Lee who is in his fourth year on the Auburn athletics beat, after previous stints writing for The War Eagle Reader and The Corner News. This fall, he is also interning with the Opelika-Auburn News. 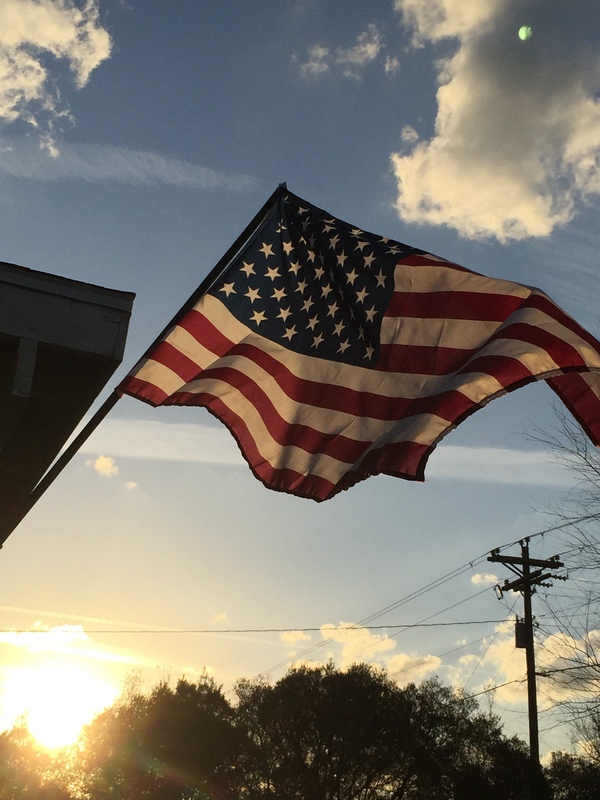 He has done freelance work for a number of publications including the Associated Press, the Tuscaloosa News and The Advocate in Baton Rouge. Okay, on this issue: Yes, Auburn have faced some dynamic quarterbacks this year, but let’s look at the last 3 Games that the Auburn Tigers have played this year. November 16, 2013: The Georgia Bulldogs vs. The Auburn Tigers, playing @ Jordan-Hare Stadium. During the 1st Half Auburn had the game won pretty much going into half time with a 27 – 10 lead. Coming out for the Second Half, the Georgia Bulldogs “woke” up and started playing some damn football. Going on a 21 – 0 scoring run in the 4th quarter. If Georgia’s Defense, from what I could see, Single-High Safety and Defensive back were not playing out of position, then they would have lost that game. Nick Marshall would have over thrown his wide receiver, but with Georgia Safety and Defensive Back playing right next to each other and not bracketing the Wide Receiver or even thinking about playing a Single-High Safety with a Quarterback with the Arm of Nick Marshall, then we would not even be talking about this, but since the good Lord sends downs blessings to the less fortunate; they allowed that dog-gone Wide Receiver to be in the right position at the right time, as soon as that dog-gone Safety & Defensive Back tipped that ball, the Auburn receiver reacted to the ball caught it and scored. I couldn’t believe it. I had to rewatch that play over and over again to make sure that it was real. Keep in mind that going into this game, The Georgia Bulldogs were ranked #2 and The Tigers were #23. 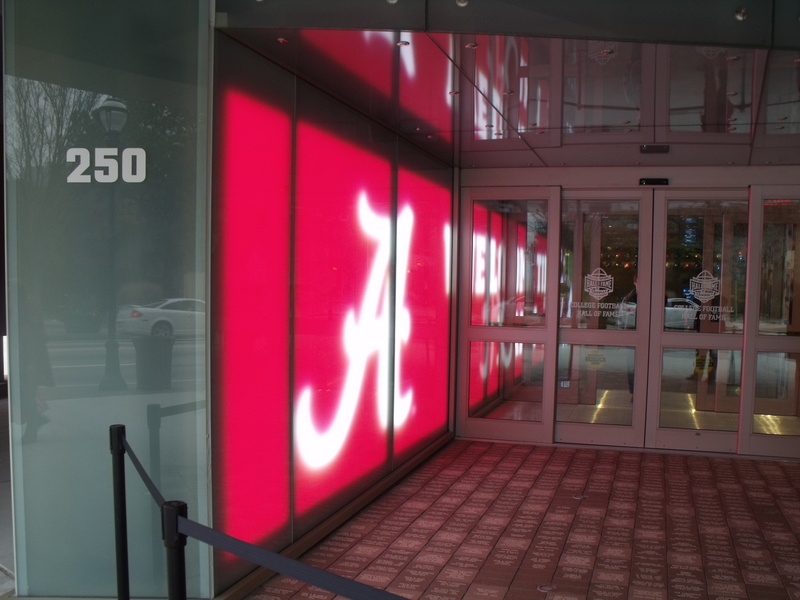 November 23, 2013: Bye Week in preparation for The Alabama Crimson Tide. 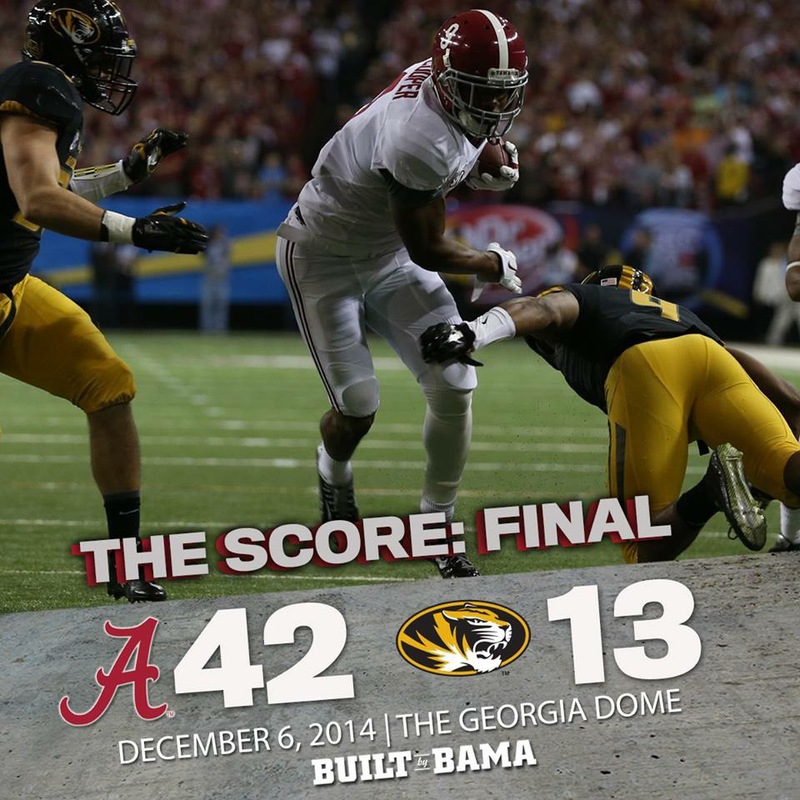 November 30, 2013: The Alabama Crimson Tide vs. The Auburn Tigers, playing @ Jordan-Hare Stadium. Going into this game Auburn had been bumped up to the #4 spot in the BCS rankings with Alabama still holding on to the #1 spot. Auburn got on the board 1st during the 1st Quarter, but Alabama finally got it together and scored 21 straight points over the Tigers going into halftime with a 21-14 lead. Coming out with the control of the ball at halftime, they scored the only points in the 3rd Quarter. Going into the 4th Quarter the score was tied at 21. Alabama scored early in the 4th to take the lead back. Auburn did what they do well and ran a perfect Triple Option Offense led by Quarterback Nick Marshall and tied the game at 28. Alabama ran a lot of time off the clock, with the intentions of kicking a field goal to try and win the game, but couldn’t get in position. With the kicking game of Alabama being shotty, Coach Nick Saban, considered kicking the ball, but called a timeout with 8 seconds left on the clock. 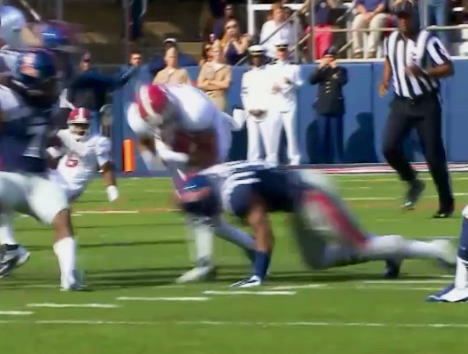 Alabama Runningback T.J. Yeldon was given the ball to what I thought was to let the clock run out, but as he stepped out of bounds, the referees put 1 second on the clock. Instead of giving the ball to T.J. Yeldon or Kenyan Drake, Coach Nick Saban put the game in the hands of a Freshman kicker. Knowing this, one of the Auburn Tiger Assistant coaches put one of their best kick returners in the endzone in case the ball fell short. Guess what? 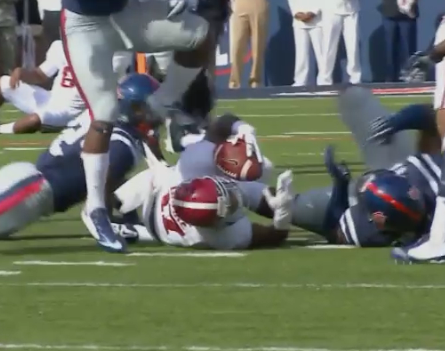 The Alabama Freshman Kicker had the accuracy, just not the strength in his leg and it fell short, right into the hand of the Auburn player, who then brought it out of the endzone. There was no possible way for the Crimson Tide to stop him, because they just didn’t have the speed on the field to stop him and the rest is history. The clinch the SEC West Division Title and a spot to play the Missouri Tigers in the SEC Championship Game. 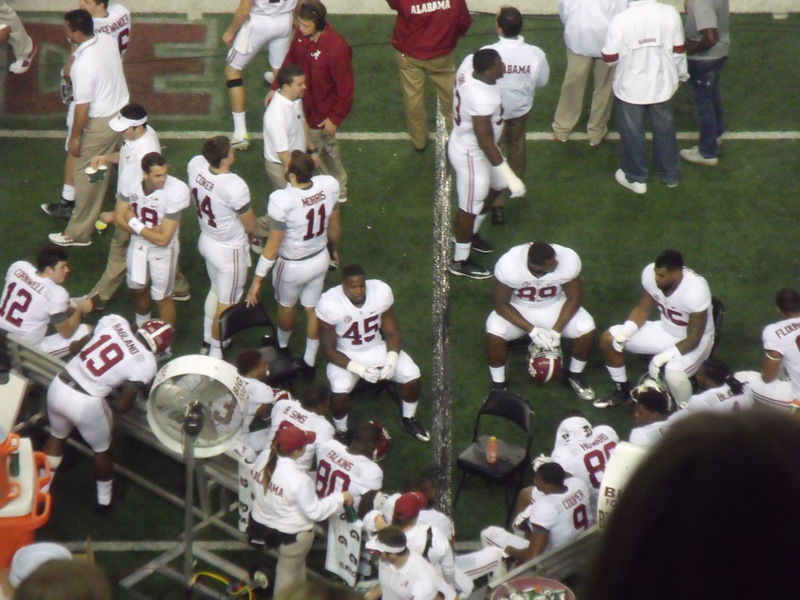 December 7, 2013: The Auburn Tigers vs. 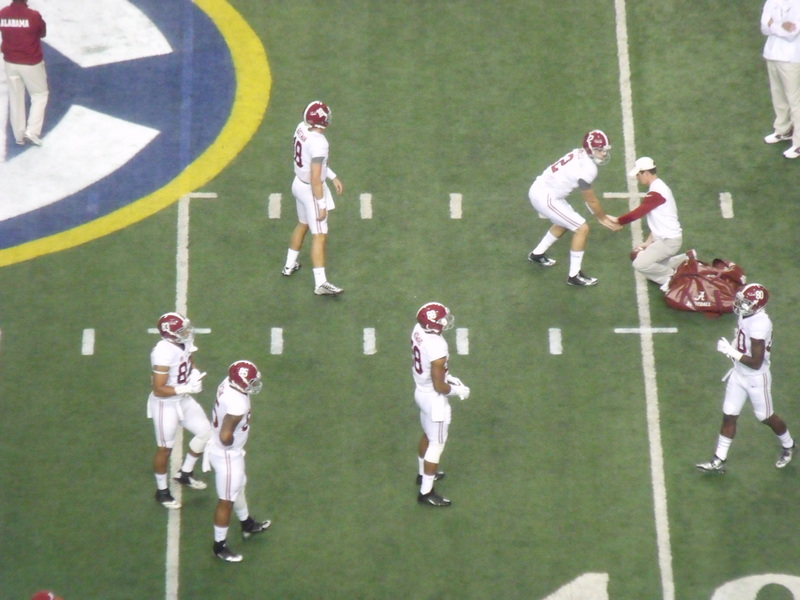 The Missouri Tigers in the Southeastern Conference Championship Game, played in the Georgia Dome in Atlanta. The Missouri Tigers couldn’t stop Runningback Tre Mason and Nick Marshall in that damn Triple Option Offense, but somehow went into halftime with the lead 17-14. I have no clue why the Missouri Tiger coaching staff didn’t make any adjustments and continue to play a 4-3 Defense to stop the Auburn Offense. The Auburn Tigers kept giving the ball to Tre Mason who ended the game with an Auburn and career record 304 rushing yards and 4 Touchdowns; and again the rest is history. The Ohio State Buckeyes end up losing their title game to the Michigan State Spartans and give up the #2 spot to Auburn who will earn a chance to play in the BCS National Title Game. Okay, here is my Final BCS National Championship Game Prediction: Auburn’s High Optempo, “Triple Option” Offense vs. Florida State University Multi-dimensional Offense, FSU’s Defense vs. The Auburn Tiger Defense, Both teams have a Special Teams that has the ability to change the tempo of the game, but can the Heisman Trophy winner Quarterback Jamies Winston make break the Heisman Curse to win it for the FSU Seminoles? 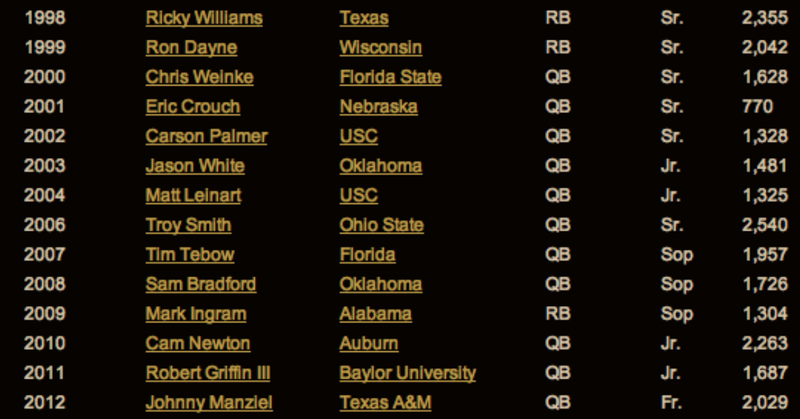 Since 2000, only 6 Heisman Trophy winners have gone on to win their following bowl game. (Carson Palmer, Matt Leinart, Mark Ingram, Cam Newton, Robert Griffin III & Johnny Manziel.) Matt Leinart’s win at the 2005 Orange Bowl was later revoked and removed from records due to multiple rule violations by the University of Southern California (USC). The trend of post-award failure has garnered the attention of the mainstream media. Additionally, the Heisman Curse asserts that in most cases a Heisman winner will have either a poor career in the National Football League (NFL) or in fact not even see such a football career at all. Gus Malzahn and the Offensive Coordinator for The Auburn Tigers are going to have to find a way score first and keep the momentum; keep the FSU Seminoles Defense guessing; use Nick Marshall’s strong arm and throw the ball down field for big gains; Yes, the Triple Option Offense is a hard offense to defend, but they are going to stop the run, so depending on your Running-backs and Nick Marshall’s legs cannot be your only option. FSU Head Coach Jimbo Fisher is going to have to continue to have their Offensive Line protect Quarterback Jamies Winston so he is able to throw the ball to the taller Wide Receivers; you will have an advantage at the Wide Receiver position because on paper, they are taller than the Auburn Defensive Backs; the FSU Defense has not seen an Offense like Auburn is going to run, just trust that your front 4 and Linebackers are going to stop the run, if not at the line of scrimmage, but at the second level. If the Auburn running backs get past your second level, your Safeties and Defensive Backs are going to have to be quick enough to recognize the run and be that last line of defense and stop the Auburn running attack. Your defense is going to have to play their positions, don’t get caught slipping. With all the factors in play, I think that Auburn is not going to be able to stop Quarterback Jameis Winston. They are going to take and keep the momentum in the 1st half, Auburn will get the running game going, but it will not be enough to stop the passing attack of the Seminoles. This will be a high scoring game, due to the high optempo of both offenses. 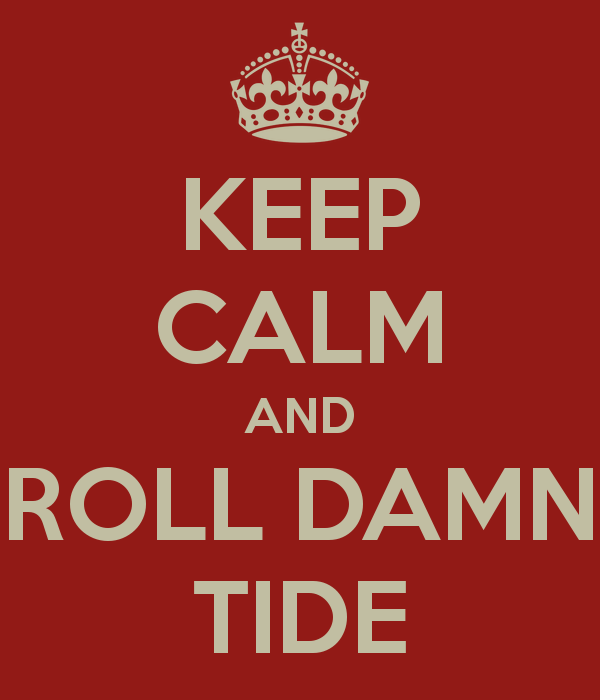 My score prediction for the National Title game: Florida State Seminoles 45, Auburn Tigers 38. Keep this in mind that this is just MY assessment. 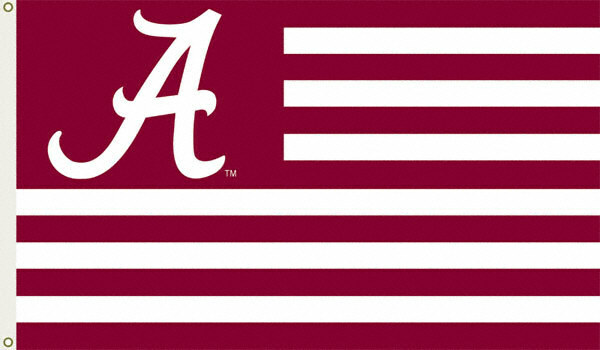 I don’t want the Auburn fans out there to think that I am hating because I am a die hard Alabama fan, this is based off of watching the highlights of both teams this year. So today was my second basketball practice. Our first practice went very well, because we had 9 out of 10 girls show up. Today, we had 5 show up, that’s including my 2 girls and the other coach’s daughter. I really hope that we have more girls show up at the next practice, because we can’t start touching on the basics of how to play defense or set up a successful offense with 5 girls. An advantage to having a small number of girls show up is, that we are able to spend 1 on 1 time with the girls as far as fundamentals go. My girls are the smallest on the team, so the plan was to play them in the 1st and 3rd Quarters; then have the bigger girls play in the 2nd and 4th Quarters. I’m not sure if we can even think that far ahead because we can’t depend on any of the other girls to come out. I will just stick to coaching soccer and maybe try my hand at coaching softball. I’m getting better at coaching or dealing with other peoples children, so as soon as I get my coaching style down, I will then become the Black Nick Saban of Southeastern Georgia. I will put my own “Process” together and have other coaches coming from the other side of the United States to find out how I do what I do. 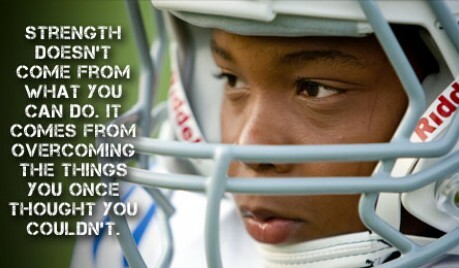 First, I am going to have to find my sport that I want to coach and get real serious about it. I don’t want to just win, I want to dominate. 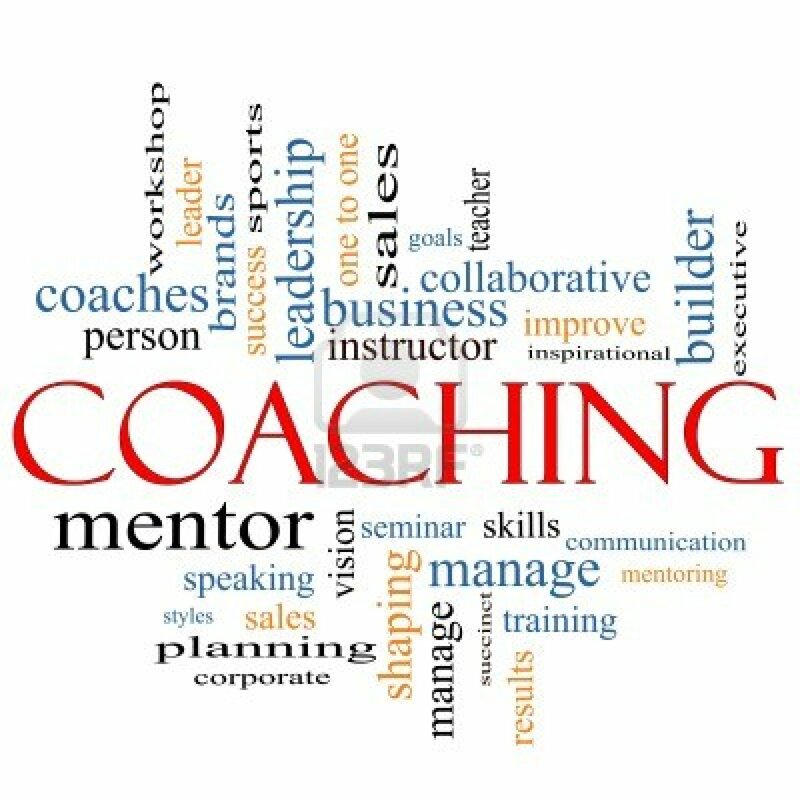 I know it’s only Recreation Sports, but I want to be “that” Recreation Coach that everybody wants their child to play for. 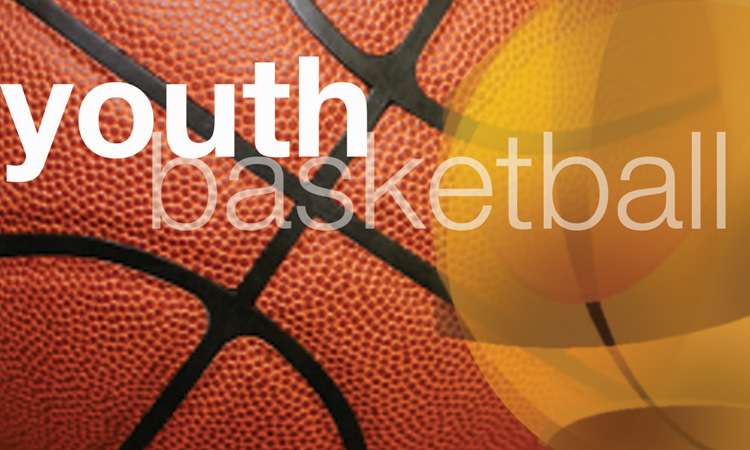 I want the kids I coach to master the fundamentals, because if they master the fundamentals at the recreation level, then it will be a lot easier for them to grasp what they are being taught at the High School/College level of athletics, if that’s the route they choose to go. I will only take it as serious as the kids. If they want to get better and they show me that they want to get better, then that’s when I will start going above and beyond. I know that I could possibly be that coach that could have an impact on a child in a positive way, but why put everything I have into it, when their own parents won’t give me the same support? I’m still trying to figure out my coaching style, so when that hurdle comes I guess I will deal with it then. As for now, I will just learn as much as I can and find out how to get the best out of the kids that I coach.